The Labor leader made the comments in a strongly worded speech to the party's NSW conference on Sunday. reveals that it took Tony Abbott to block him from deeper, harder cuts,"
Shorten said in Sydney's Town Hall. "Seriously. If it's up to Tony Abbott to tell you that you've gone too far, you've well and truly gone too far." In his speech, Shorten said the government was "unravelling from the centre and rotting from the top". Much of Shorten's speech focused on Labor's support for Medicare amid Tony Abbott's plan to impose a $7 Medicare co-payment. 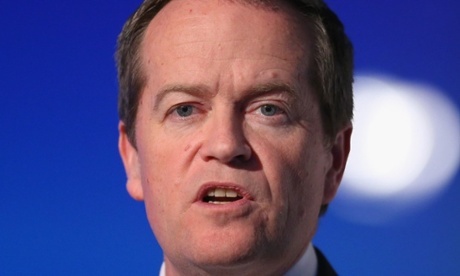 On party reform, Shorten urged Labor to "rebuild as a party of members, not factions". that party members no longer be required also to be union members.